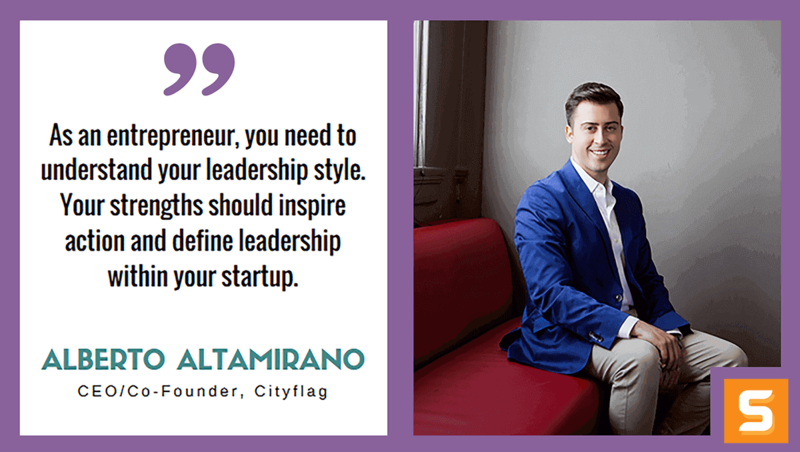 Alberto Altamirano is an entrepreneur, public speaker, columnist and political strategist. His interest in public policy and community involvement has led him to work at places like the Texas House of Representatives, Office of the U.S. Trade Representative, U.S. Senate and the Alamo Area Metropolitan Planning Organization. Driven by his passion for technology, urban development and civic engagement, in 2015 he co-founded Cityflag, a civic technology company that's so far developed a mobile application that allows people to easily report infrastructure issues (potholes, outages, vandalism, etc.) while crafting ‘Civic Stories’ and building more inclusive local government. Alberto's initiative to civically engage millennials won him the VotoLatino Innovators Challenge and led him to receive a MacArthur Foundation Grant, which are both awesome. In this interview, Alberto shares some perspective of his life's work merging technology into civic engagement and government service. It's exciting to learn how technology is being used to bridge the gap between younger generations and civics. Enjoy! Okay, so Alberto, at what point did you realize you were really on to something? Today, more than ever, thanks to technology and other resources, citizens have taken important roles in the collective decision-making process. I believe government works best when citizens are directly engaged in policy-making and public service delivery. In the 21st century, technology will play an important role in our lives, and I'm a part of the movement that transforms cities into technological platforms where citizens participate on a greater scale. I spent a lot of time organizing communities in Austin, Texas, mainly the east side or the city’s historically African-American and Latino neighborhoods. It didn't take long for me to notice members of these communities complained about their local government and didn't know who to talk to. And while they brought up plenty of social problems, most of the time they complained about infrastructure issues. Residents said that they would vote for the candidate I was campaigning for, but who would fix the potholes, the graffiti, the missing stop signs, the power outages and so on? Research shows little issues like these really matter to the health and well-being of a neighborhood. I insisted they could call 311 to report these type of incidents and their reply was instant. Some residents said they didn’t have time while others were undocumented and feared the government – so they never complained – even if there was vandalism all over their neighborhood. When I combined this knowledge with modern social media and mobile-tech, Cityflag was born to help connect average folks with their government. I understand what younger audiences want - easy to you use tech tools that produce powerful outcomes! Millennials lead the way in mobile internet adoption, but Nielsen Research shows young Latinos own more smartphones and use more apps than any other generation. Millennials are relatively unattached to politics and government but fiercely committed to community service. They seek to add value to their local community and are optimistic about their role in building a better future. This generation is open to adopting new features on their devices and nearly all users access social networks on their cellphone; they create social-driven campaigns for the best engagement. Cityflag seeks to engage these individuals by building up the capacities and orientations of citizenship so that those spaces can be effectively used. The unique value proposition that our business provides is the ability to report city or community issues in real time in a mobile-savvy way. To date, other than yourself who or what has been Cityflag's greatest asset? My co-founders. I was very fortunate to meet my good friends and co-founders, Beto Gomez, Eduardo Bravo and Juan Pablo Torne, before starting Cityflag. There was a friendship before there was a business. However, business is business: transparency and trust are key ingredients to long-lasting partnerships. Most importantly, you need business partners who understand the grind of starting a company. It's a long and difficult journey with many unexpected curve balls. As an entrepreneur, what are your 3 strongest character traits? As an entrepreneur, you need to understand your leadership style. Your strengths should inspire action and define leadership within your startup. Passion: I’m fueled by the service my startup offers to the world and I love what I do, I’ve merged government and technology, two of my favorite things. If you have true passion for your startup, you'll turn your idea into reality. Vision: Entrepreneurs don’t just have ideas, they have vision. Challenge yourself by exploring and testing your ideas. Many entrepreneurs have achieved their purpose and goal by setting a strong and clear vision, and by pursuing it. Go for it! Resilience: Failure is part of entrepreneurial culture. But it’s how you react to obstacles and setbacks that defines your success. Great leaders get up and dust themselves off. An author I follow, Eric Greitens, says no entrepreneur escapes pain, fear and suffering. Yet from pain can come wisdom, from fear can come courage, and from suffering can come strength -- if we have the virtue of resilience. Don’t get frustrated if investors reject you, it’s part of the game. Seek mentorship and ask for personal introductions to potential investors. Email, follow-up, call, and show up. What major challenge/milestone is Cityflag working towards right now? Releasing our platform in two countries, United States and Mexico, wasn’t easy. Especially, since we sell to governments directly. It’s all about balance. Exercise is very important if you're an entrepreneur! You need high energy levels to maintain the momentum you need for your business to succeed. Having the right diet, sleep and exercise really helps improve your stamina. Also, take care of your loved ones, make time to spend time with them. I don’t think there is an instruction manual on how to become a successful entrepreneur. However, you need to surround yourself with talented individuals who contribute to your success. Your team plays an important role in your business success as well, so find the right people. Use tech-tools to make life easier, take advantage of the vast amount of tools on the market that save time and money. Develop your ideas, test them, validate them and start your company. If the Cityflag brand had theme music, what would it sound like? Smooth hip-hop Jazz, at Cityflag we love live music! What advice you got for folks considering setting up shop in Texas? Do it, Texas is growing, there’s opportunity! San Antonio, Austin, Houston and Dallas made it to the top 20 hottest cities for startups according to Fortune Magazine.